I always try to be fair towards a filmmaker who’s just started making his own film for a wide audience. That, I must admit, is the most difficult part for a director to reach to the level when he is about to “deliver” his baby, should I say in a natural way? Good or bad, but Geoff Redknap’s movie looks as if it were delivered via C-section. Despite having that emergency, it’s admirable to see that he managed to deliver a healthy and big film in acceptable condition. However, a certain treatment was required, such as editing. But I assume, for that failure we have to blame Doctor Editor, don’t we? In spite of having, perhaps, a humoristic entry, The Unseen is not that funny a film at all. After all, it’s a horror film, even though, it was not that scary. 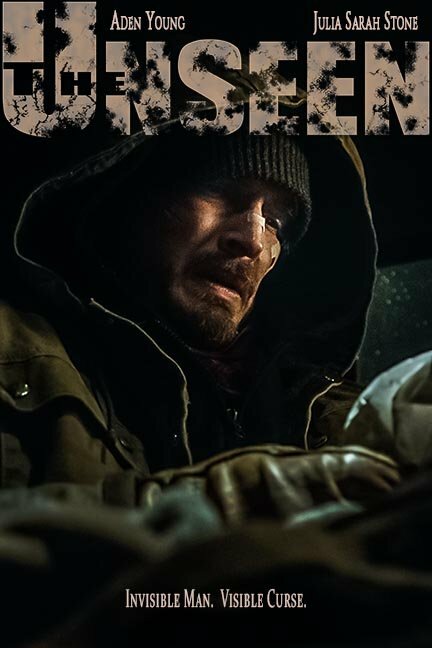 Aden Young (Bob Langmore) is a former hockey player who is now a struggling mill worker. That struggle does not come from low wage work, but from his health condition, that, pretty much makes him to disappear slowly. He seems ready to take the boat and sail towards nowhere in the Atlantic Ocean, but disappearance of his daughter rings another bell to him, as he has something more important to do than simply vanishing…. The beginning of the film gives a hint that Aden not only leaves his family behind, but also hangs out with bad guys. And as it usually happens, they will come after him when they decide so. And trust me, that will also happen. Eva is Aiden’s daughter who asks her best friends to go to the local psychiatric hospital, the real reason behind it you are yet to find out. However, as the story unfolds, you will be able to see some scary scenes, but not enough to see a nightmare. In conclusion, The Unseen may not be a great film, but worthwhile seeing. Even though it will be forgotten quickly after. Geoff Redknap does an impressive work with his film, even though, a highly demanding viewer may not appreciate it. The special effects look fine, but not as good as you wish it should have. In the end, the film has its clear aim, but takes way too much time to develop it, and sometimes the way the story continues you find some scenes are not necessary to be a part of the film. However, if Geoff Redknap sees clear points in having those scenes, then, maybe it’s me who does not understand them. This is why it is always great to build your own opinion by watching the movie, which I am sure, you might have a whole different perspective than what I had.